Whether you need to comply with regulations, or you wish to save money on power with smart, safe and reliable electrical systems, Ben Matheson from Ben’s Electrical is the Auckland electrician who will listen to your needs, offer sound advice and provide a solution that gets you the best outcomes. The commercial electrical services from Ben’s Electrical include shop and office fit-outs, telephone wiring, security installation and more. Ben will work closely with construction and development companies to design and install electrical systems for any large and small commercial project. As a highly qualified electrician, Ben’s Electrical can help your organisation. Ben Matheson can install and maintain safe and reliable electrical systems in your organisation. Contact Ben’s Electrical now via email to talk about your electrical project or phone 027 236 3532 – a qualified commercial electrician is just a phone call away! If you are setting up a new business or moving to new premises, make the job easier by hiring an electrician you can trust to get the job done right, first time. Ben’s Electrical take care of lighting design, data cabling, automation and all things electrical! 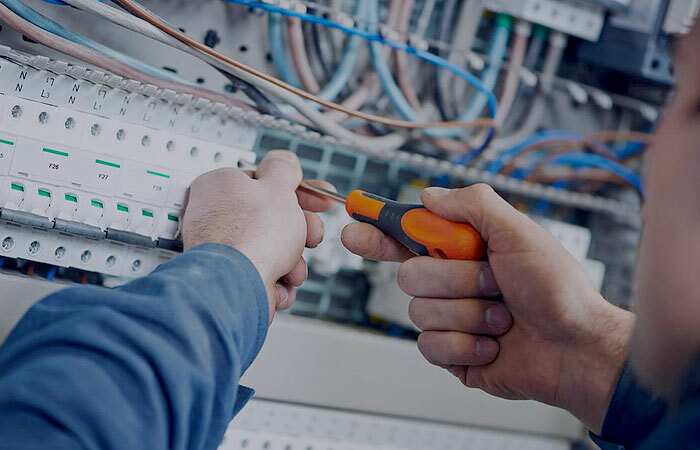 From installing and repairing electrical switchboards, hot water cylinder elements and thermostats to installing or repairing a telephone point, power plug, heating, fan or light switch, Ben is the Auckland electrician to get the job done. Do you need upgraded network cabling or new cabling through your new office. We can provide and install wiring to all data outlets for computer or phone outlets and for security systems. We can provide all voice, data cabling and telephone cabling. Ben’s Electrical can provide a thorough analysis of your work premises and suggest the best system for convenience, efficiency and to give peace of mind at all times. Want to reduce your power spend around the workplace? Many options are available to help you be more energy conscious, including LED lights which also provide great light. We can take care of lighting design and security lighting. Ben’s Electrical can install and maintain your workplace lighting. They can also repair your fluorescent lights, or replace worn-out light bulbs. A cost effective, qualified Auckland electrician to solve all your commercial lighting needs.